This Trainer Axle is designed to adapt your high quality bike to your on-wheel trainer. These are compatible with all the popular brands: BKool, Blackburn, Cyclops, Kinetic, Tacx, Wahoo and more. The axle is installed with a simple 5mm hex/allen key. The same tool that you carry on every ride. 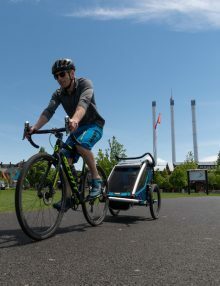 Important: Before you order, make sure your specific trainer will accommodate the width of your modern thru-axle equipped bike. 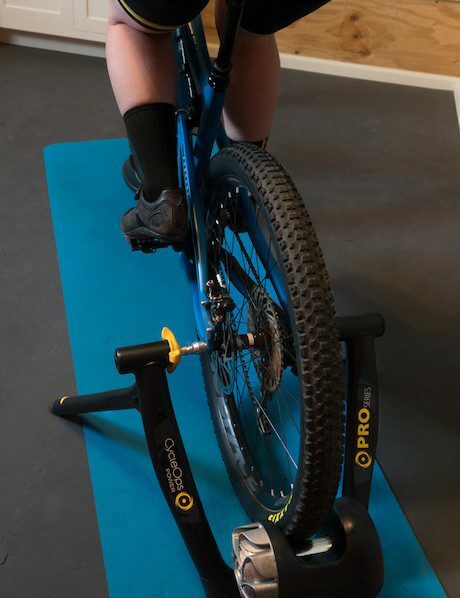 Measure your trainer at the widest setting and measure the outside width of your bike frame. 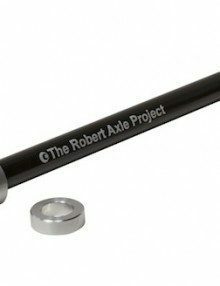 Our the trainer axle ends will extend 15mm past your frame on each side. 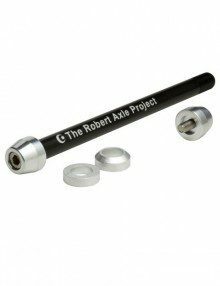 This axle is compatible with BKool, Blackburn, Cyclops, Kinetic, Tacx, Wahoo and many other on-wheel resistance trainers. The true length of the axle shaft is 188 mm. An additional 6 mm spacer allows for a fitment of 182 mm also. Please note: Thru-axle lengths do not equal hub standards. An axle has to be longer than the hub to fit in the frame. A 12×142 hub does not equal a 142 mm long axle. 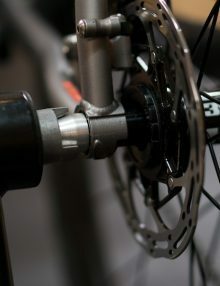 This rear thru axle is specific for using your Mavic Speed Release bike on a wheel-on trainer. The thread, a “double lead-in” thread, is proprietary to the Mavic Speed Release system only. Purpose built to adapt your thru axle equipped bike with your wheel-on trainer, such as a 1up, Blackburn, Cyclops, Kinetic, Tacx, Wahoo and many other trainers. 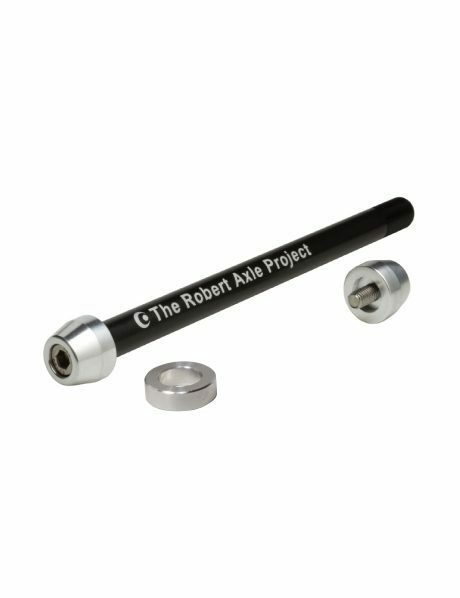 Our goal is to fit the thru axle to your bike perfectly, so we minimize spacers and extra parts, providing a clean, high performance axle for your bike. 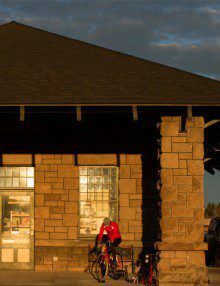 Train, warm up and be race ready and fit for the season. Yes, we have a Lightning Bolt-On Axle for your Mavic Speed Release bike – find it here! 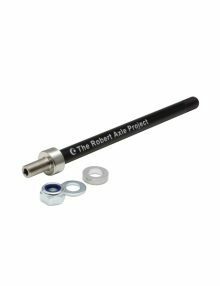 Our Surly Trainer Axle is designed to adapt your Surly MDS/Gnot Boost bike with your wheel-on trainer, such as a 1up, Blackburn, Cyclops, Kinetic, Tacx, Wahoo and many other trainers. 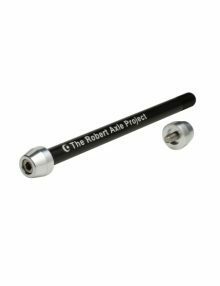 Our goal is to fit the thru axle to your bike perfectly, so we minimize spacers and extra parts, providing a clean, high performance axle for your bike. 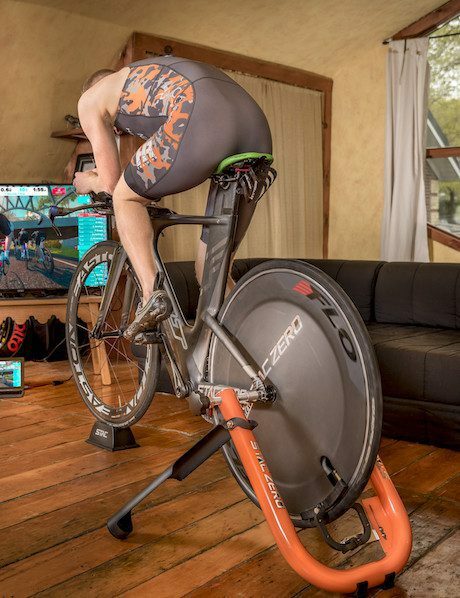 Train, warm up and be race ready and fit for the season. This axle is for Surly bikes with the MDS/Gnot Boost system.